Imagine you're a little kid again. The year is 1963. And it's a Monday night. You've just adjusted the channel on your (b&w) TV set to ABC. The Outer Limits is airing, and this week's "transmission" from the Control Voice involves the creepiest alien creatures you've ever seen: skittering, howling, relentless, big-eyed ants known as Zantis. And In the final act of this Joseph Stefano-penned nightmare, the damned Zanti Misfits are EVERYWHERE. They're crawling down walls, attacking American soldiers, and jumping -- literally -- out of the woodwork of a hotel-turned military installation in Morgue, CA. So...it's pretty much an unstoppable onslaught of insectoids. In vetting this harrowing denouement, the classic TV anthology truly lives up to producer Stefano's famous mission statement: "The viewer must know the delicious and consciously-desired element of fear..." (Gary Gerani. Fantastic Television, Harmony Books, 1977, page 57). Another story element that Stefano always insisted upon in each episode of The Outer Limits was a focus on some important aspect of "the human condition." "The Zanti Misfits," directed by Leonard Horn, lives up to this dictum too, revolving specifically around the contemporary problem of what a"civilized" society should do with its criminals. Here, the U.S. Government is "co-erced" by the technologically-advanced alien Zantis into accepting on our soil a shipment of their extra-terrestrial criminals. The draconian Zantis are described by the teleplay as being "perfectionists" and are genetically incapable of executing their own kind, even their most heinous law-breakers. 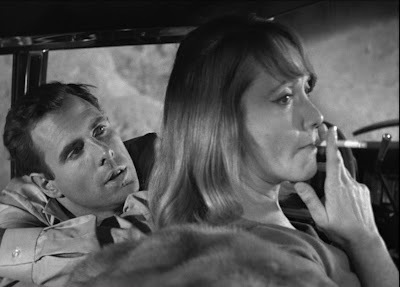 The Zanti Misfits encounter two small-time Earth criminals, played by a very young Bruce Dern (!) and Olive Deering, upon landing in the California desert. 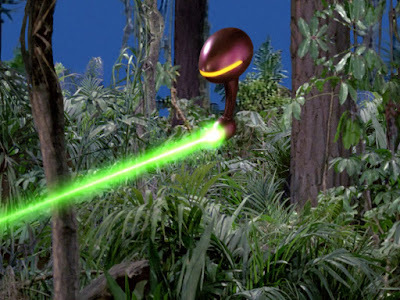 This unexpected incident could cause the destruction of the Earth since the Zanti insist on privacy for the prisoners. And it is learned very quickly that Zanti have no qualms about killing human beings. The kind-hearted general in command of the installation (Robert Simon) fears a Zanti reprisal for this violent response from Earth men, but a transmission from the Zanti home world reveals a surprise and, indeed, some sense of relief. "It was always our intention that you destroy them," the Ruler reveals, referring to the Zanti criminals. In other words, the Zanti were banking on destructive human nature to resolve their problem of housing criminals. And...it worked. As the final narration from the Control Voice points out rather trenchantly, the Zanti solution is not a human one or an in-human one. It's just a...non-human one. What I appreciate most about The Outer Limits, and the reason why it remains worthy of extensive study and remembrance today, is the fact that each episode of the series is shot in exquisite and expressive horror-movie fashion. 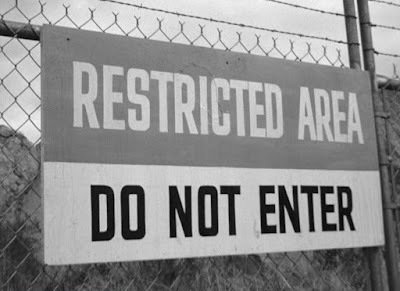 This episode opens, for instance, with an establishing shot of a sign reading "Restricted Area: Do Not Enter," which raises viewer anxiety and fear. What's behind the sign? What's behind the fence? As a book-end to this mysterious opening shot, "The Zanti Misfit's" final composition reveals another sign, this one cast-off on the ground, disordered and revealing the name of the desert town: "Morgue." Of course, the hotel and surrounding lands have been turned into a literal morgue, at least for the Zanti...so the sign transmits, with much gallows humor, a sense of truth. The bottom-line is that this TV drama from 1963 features, in some important ways, a deeper sense of classic film style (and film grammar) than many of the major motion pictures produced today. 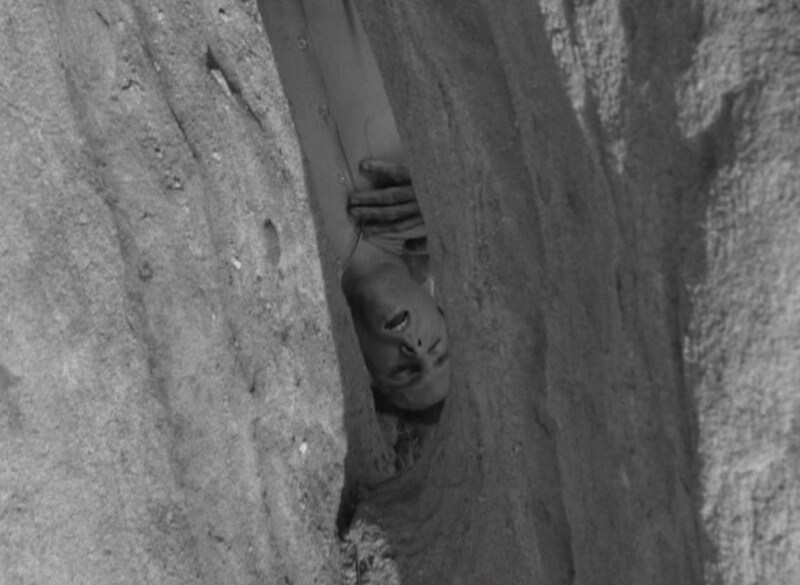 In between these book-end "sign" shots, the episode finds time to orchestrate a terrific upside-down, claustrophobic of Bruce Dern surrounded by rock, expressing well the idea of death. And -- for 1963, anyway -- the Zantis are rendered pretty convincingly through stop-motion photography, especially in close-up. I've pulled some screen-shots of these famous alien beings (probably the most famous of all Outer Limits bears...) and you can see for yourself the amazing detail on their faces, around their mouths and lips, for example. Amazingly, the Zanti are also depicted by the production as unique individuals. There's one alien criminal with facial hair ...a beard, actually. I wasn't expecting that level of differentiation in alien insects, nor so much attention to detail either. These malevolent creatures are shot well too. Horn's camera frequently zooms-in jarringly on close-ups, and gives the audience full-on, disturbing views of these little buggers howling and complaining about their treatment and predicament. When a chase sequence in the desert is presented, -- with the Zanti pursuing Olive Deering's character -- Horn goes with a hand-held camera, and the sudden herky-jerky nature of the camera really gets the blood boiling. I know Leonardo Di Caprio is currently working on a feature-length remake of The Twilight Zone. 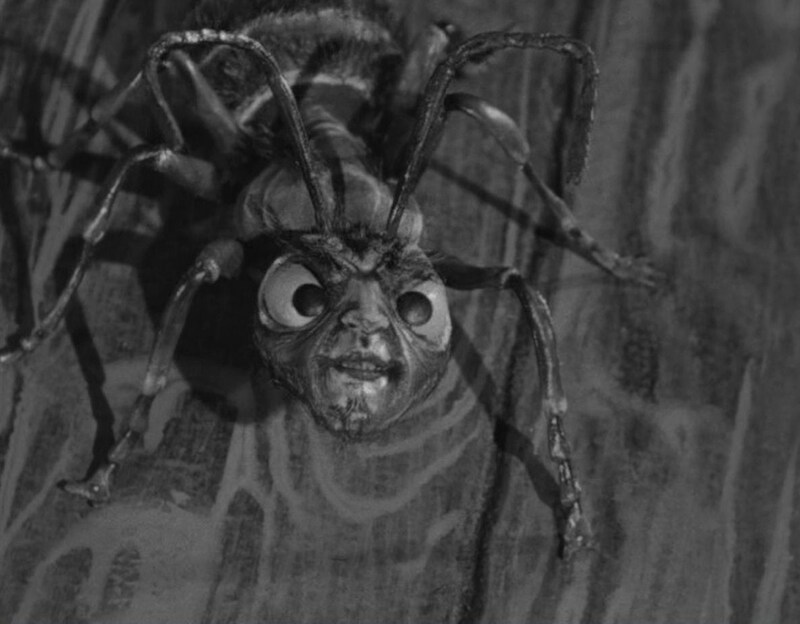 Well, if The Outer Limits ever gets the same silver-screen treatment, "The Zanti Misfits" would be a prime candidate for inclusion in the project. The alien villain of this installment is extremely memorable (and disgusting...) and the central scenario is tense and involving. Frankly, I still freak out a bit watching the last five minutes of this episode. Believe me, if you watch "The Zanti Misfits" in bed and in the dark, you'll be nervously scanning the floor (and your blankets...) for signs of these nasty, malicious bugs. Recently, the great blogger Trick or Treat Pete at Deadly Serious listed "The Zanti Misfits" as one of the things that perpetually give her the willies. When I was young, I remember being absolutely terrorfied of those bugs and their faces. I had nightmares about them for years. "'The Zanti Misfits' would be a prime candidate for inclusion in the project." Agreed...and potentially turn on the youth to the wonders of horror! "Imagine you're a little kid again. The year is 1963. And it's a Monday night." John, you described me in your first sentence of this week's Cult Flashback. 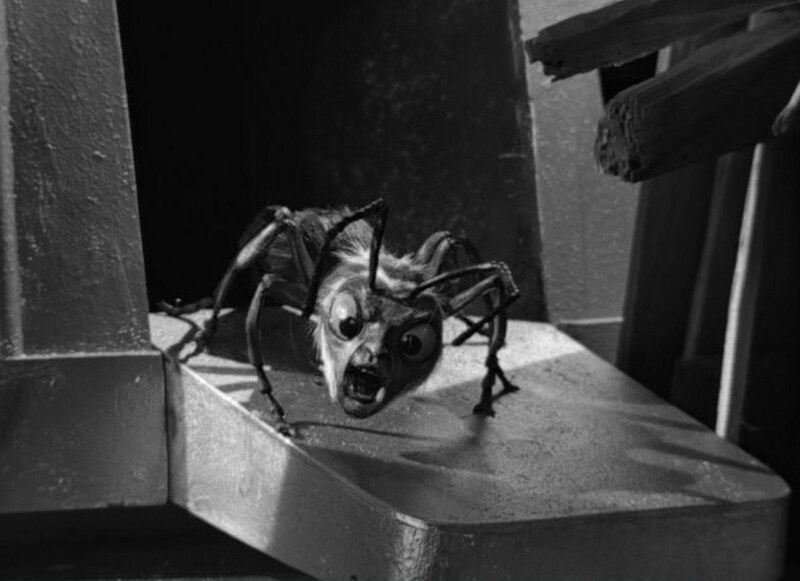 Watching The Zanti Misfits was the only time I didn't finish a first-run OUTER LIMITS episode! This one freaked me out so! I can still recall when I bolted from the room: it was the moment Dern gets to meet a Zanti up close and personal. Only years later did I came back to it and forced myself to watch it in its entirety (when it was replayed on TV). I have no doubt at all that this episode affected an entire generation of kids my age back in '63 (that's for sure with Trick or Treat Pete and me). I still get the willies thinking about it. This was a great look back, John. I think... If I have nightmare tonight, then this immortal installment has done its job on me... again ;-). Thanks, my friend. One of the most disturbing pieces of TV ever. Peter: The Zanti are definitely nightmare-inducing, no doubt about it. They still creep me the hell out. Le0pard13: I am so glad that this flashback struck a personal note (of terror...) with you. The Zanti Misfist have always terrified me too. David: I couldn't agree with you more. The episode has lost none of its power! I still remember this episode from my childhood. For Christmas last year I was able to pick up a season of The Outer Limits on DVD and quickly put in this episode. Great stuff of nostalgia and frights. Thanks for the trip down memory lane. Scream!!! Too many pictures of them!!!! I must now hide under a blanket in the corner until morning!! Thanks for the link to my blog, I appreciate the compliment!! Now get those hideous creatures out of here before I am forced to eat someone!! Oh wait, I'm a zombie, I eat people anyway...well, um..as Gilda Radner used to say...nevermind. My all-time favorite "Outer Limits" episode! Okay, maybe not the most "seminal" episode of the series, but certainly the most fun, in a creepy sort of way. I was too young to catch "Outer Limits"in during it's initial run, but I got hooked later on in the 1960's when a local station in the L.A. area (I think it was KTLA Channel 5? -- but I can't say for sure) showed it every Saturday afternoon. For my older brother and sister, who did remember the show's initial run, it was a welcome return of an old favorite. For me, it was the introduction to what still stands as my favorite sci-fi/horror show. 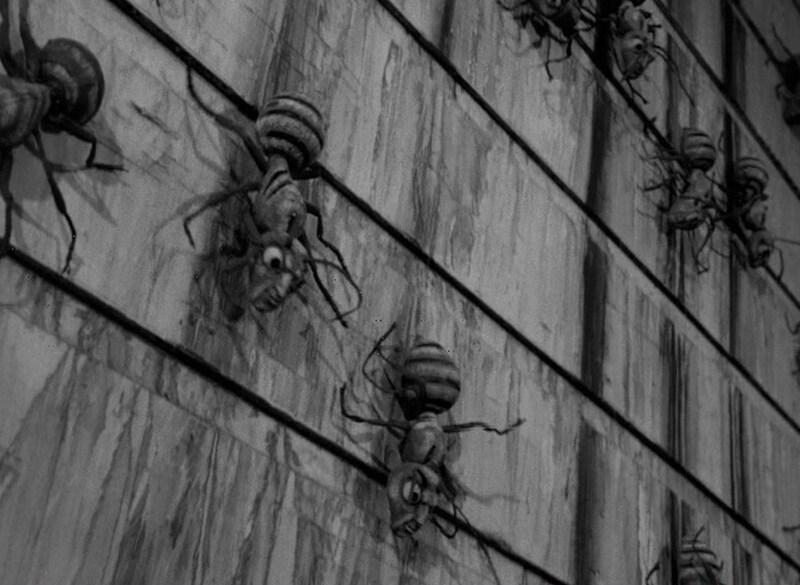 The noise the Zantis make, that horrible insectile buzzing, is very creepy and effective. And perhaps the scariest scene of all is the view of the surrounding desert from the inside of the Zanti ship. At first you see nothing of them, then later you're only shown strange segmented legs squeaking across the glass of the ship's window. That build up of the unknown is chillingly effective. You don't actually see the little critters until Bruce Dern stumbles upon the ship, and then it's a truly great use of stop-motion (and some pretty darned-well executed models). And the framing of Dern's dead body in the rocks, while his girlfriend approaches, is masterful. Personally, I hope they never try a movie "remake" of old "Outer Limits" episodes. I don't think old shows are ever done justice by modern filmmakers... maybe because they were so much creatures of their times, and it's just impossible to go back to that time.